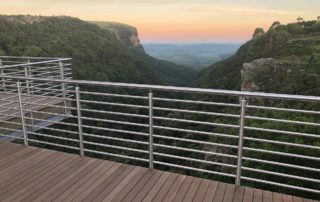 The Graskop Hotel is centrally situated on the Mpumalanga Escarpment at the start of the Panorama Route. 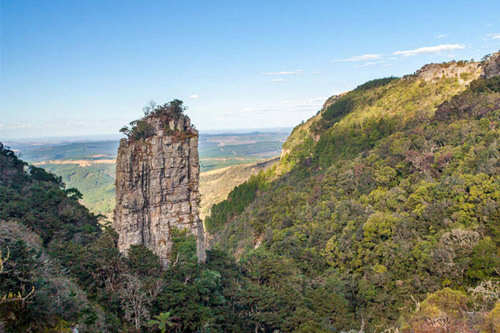 On our doorstep you have the famous Pinnacle Rock, God’s Window and the historical town of Pilgrim’s Rest. 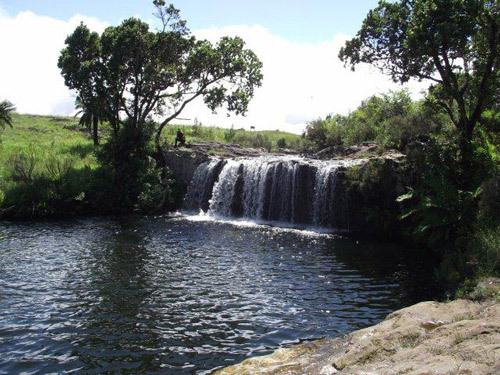 Graskop is surrounded by beautiful waterfalls, streams, tree ferns and hiking trails. 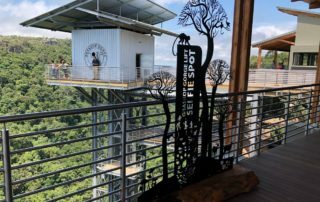 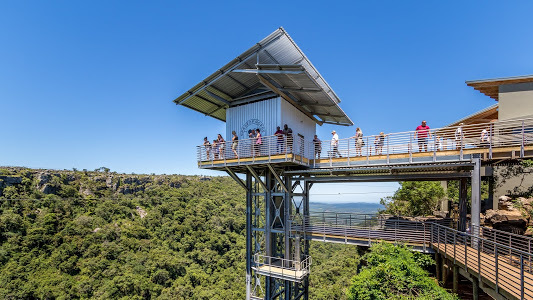 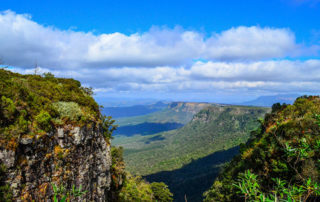 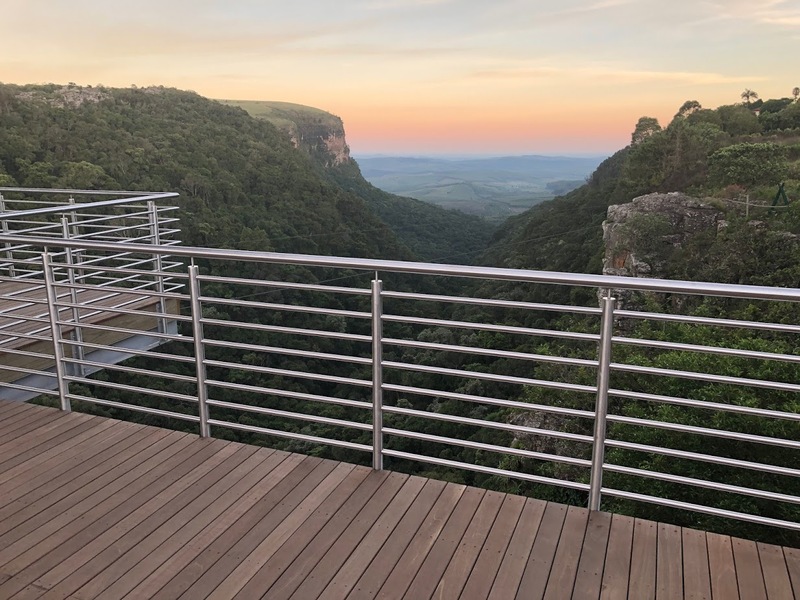 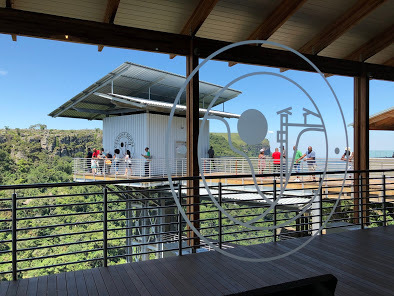 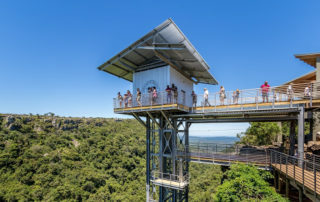 The Panorama route is a circular drive with several detours – it starts at Graskop going northwards past The Pinnacle and Driekop Gorge, Lisbon Falls and God’s Window. The route leads through dense plantations to Vaalhoek, from here the traveller can go north to Bourke’s Luck in the Blyde River, or turn south along the Pilgrim’s Creek valley to the peaceful town of Pilgrim’s Rest. 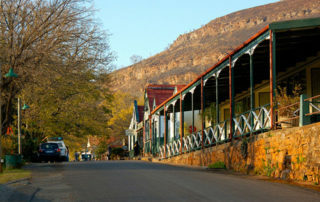 During the 1870’s this town was anything but peaceful, being the centre of the gold rush in the then Eastern Transvaal. From Pilgrim’s Rest it is a short drive over the mountain-divide back to Graskop. 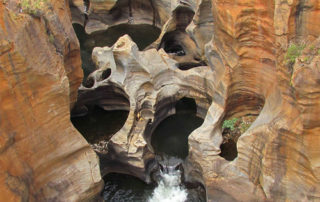 The Blyde River has a spectacular course. Near the site of a once profitable goldmine known as Bourke’s Luck, are the extraordinary Bourke’s Potholes and colourful rock formations. 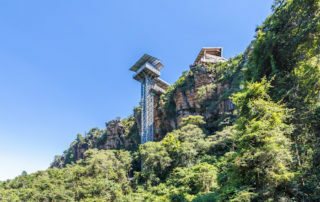 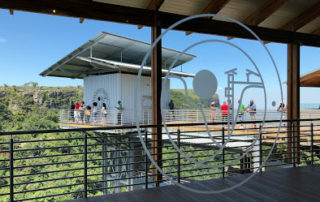 There are paths and footbridges taking the visitor to viewing sites. 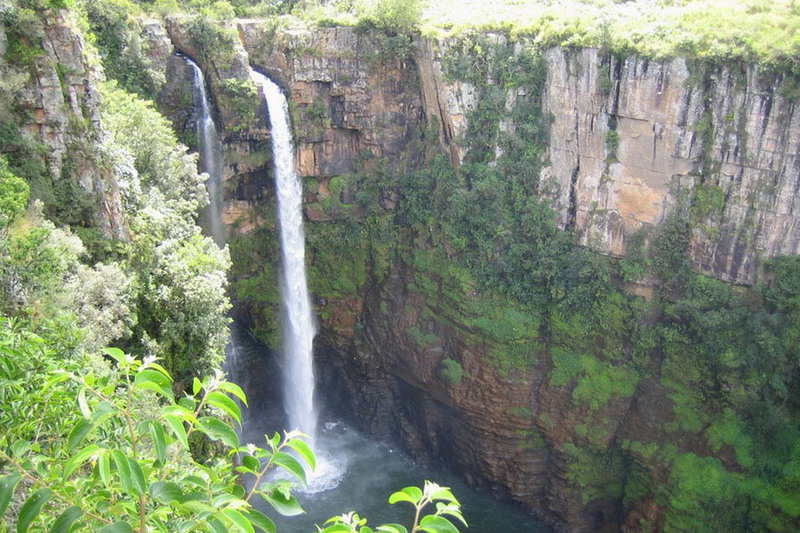 The river then plunges into a gigantic gorge some 800 metres below the summit of the escarpment. 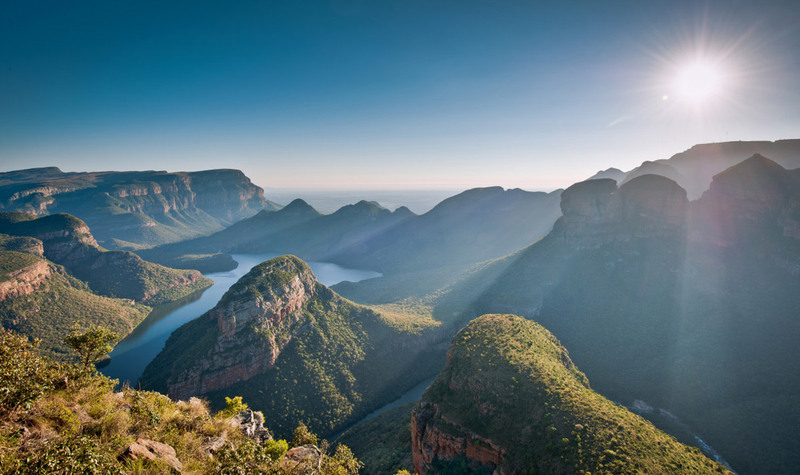 Dominating the gorge are the triplet peaks known as the Three Rondawels and the huge flat-topped summit of Mariepskop. 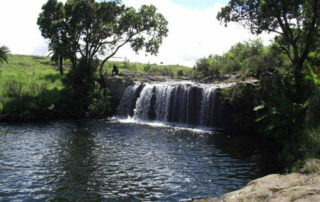 The Blyde River is dammed at the lower end of the gorge where there is a public resort. 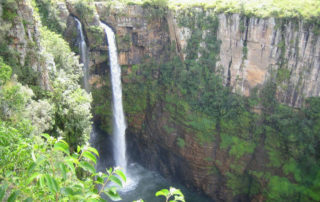 South of Graskop just off the road to Sabie is the spectacular Mac-Mac Falls, further downstream is a popular swimming site known as the Mac-Mac Pools. 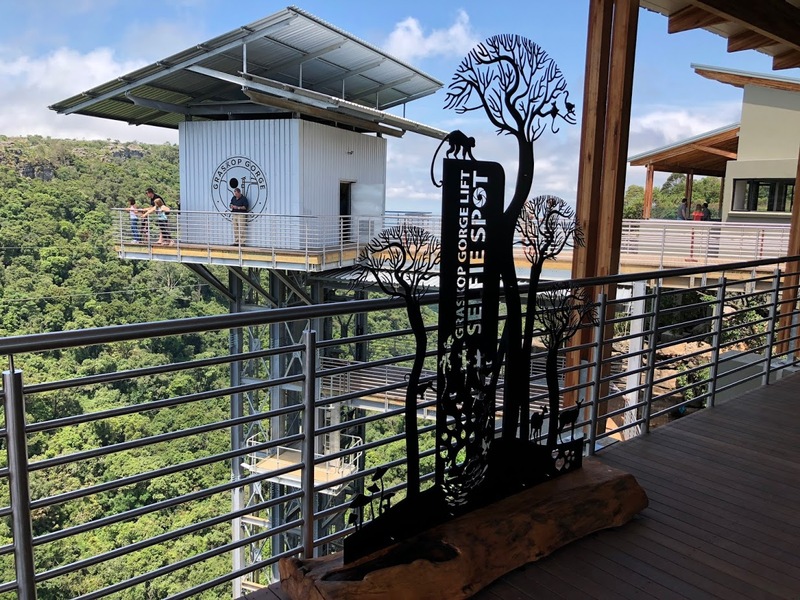 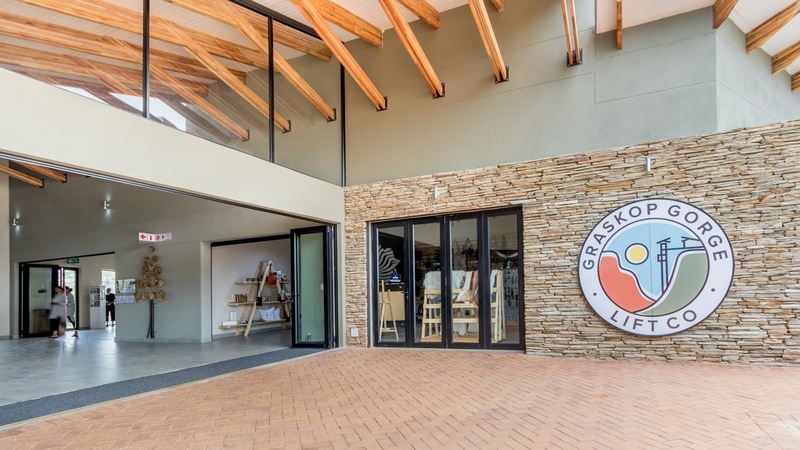 “The Graskop Hotel is situated around the corner from the world famous Harrie’s Pancakes and the interesting Delagoa curio shop.